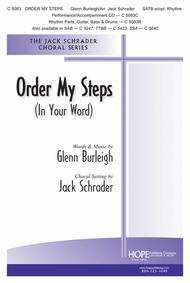 Composed by Glenn Burleigh. Arranged by Jack Schrader. Choral Anthems. Hope's Recent Best Sellers Series. Blues-Gospel-Spirituals, Dedication, Commitment, Devotion, Discipleship, Gospel, Guidance, Renewal, Spiritual, Wisdom, General Worship, Sacred. Octavo. Hope Publishing Company #C5083. Published by Hope Publishing Company (HP.C5083). By Glenn Burleigh. Psalms 1:1, Psalms 37:23, Ephesians 4:1, James 3:1-12. This mega-hit is pure "black gospel" from the pen of Glenn Burleigh. 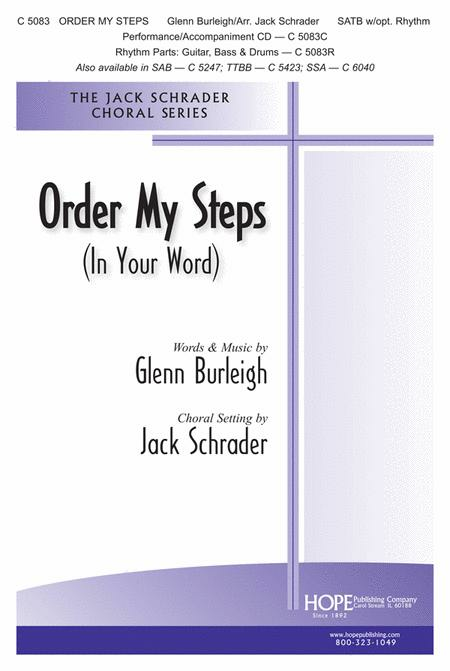 One of the best-known titles in the genre, "Order My Steps in Your Word" is a passionate prayer for guidance. Jack Schrader's captivating, hypnotic setting is also available in an SAB voicing. Simply beautiful: The voices and pronunciation of words were clear. The harmony was simple and pleasing to the ear... N.B. My comments relate only to the audio sample.
. All in all very nice chart! 36 of 64 people found this review helpful. Our church is celebrating this week with a "More Light" Presbyterian Service, 1-18-2009. It's our prayer for the Inauguration on Tuesday...and a celebration of MLK Day also. Wonderful anthem! This song are the sentiments of any person of any persuasion who has sincerely longed for God's direction and desired to fulfill HIS desires in themself. Simply awesome song. 32 of 61 people found this review helpful.